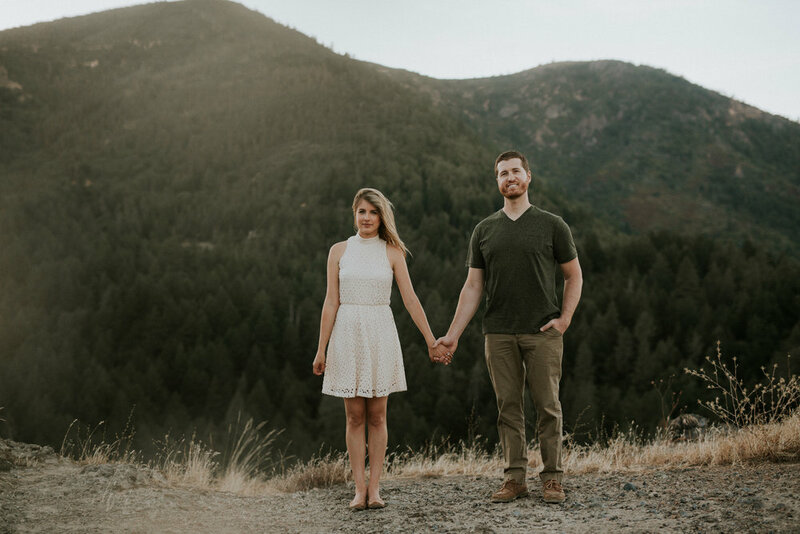 For their 1-year anniversary, Brittany and Ben decided to get some photos taken! I went to high school with Brittany (shout out to Humanities Core!) and we recently reconnected due to both of us being in the wedding business now. Not only is she a wedding and event planner, but she also has an amazing blog filled with her own gluten-free recipes, which totally speaks to my heart because I'm gluten-intolerant! Check out her blog Flourless Betty! Her and Ben were troopers and hiked in the 90-degree heat to get to one of my favorite spots. It was super fun getting to photograph their love and, as you can tell by these photos, Britt's laugh is contagious! Happy anniversary, you two!